Tomorrow Denise and I will leave Ammarnäs behind and head for Slettnes, another 1200 km North. Tim will stay here for another two weeks, follow the few skua chicks that are still around, try to catch some more phalaropes and help out with the post-LUVRE ringing (mainly passerines). 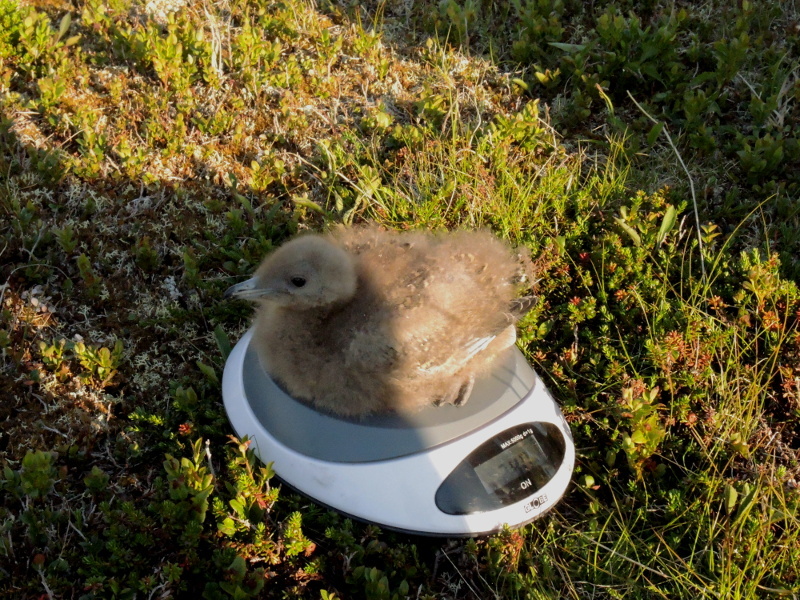 At Slettnes, we will join Morrison to monitor Arctic Skua chicks. Also, there are still three geolocators for phalaropes left. Can’t wait to get there! I got some news from Tobseda, Russia, where they got only a few breeding Arctic Skuas and therefore could only get two geolocators on Arctic Skua. The situation looks better for Red-necked Phalaropes: they found sufficient nests of for mounting the geolocators. Chick SE on 10 July. Five days later its mass had increased to 296 grams. 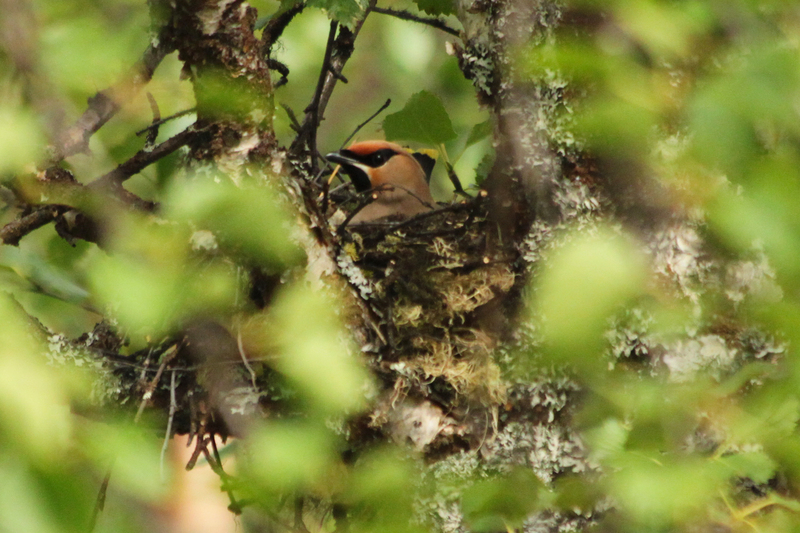 In response to the comments from Åke on a photo subscript in the previous post, we went back to the Bohemian Waxwing nest to collect some evidence… see below… On 4 July they were still busy building the nest and rather vocal. 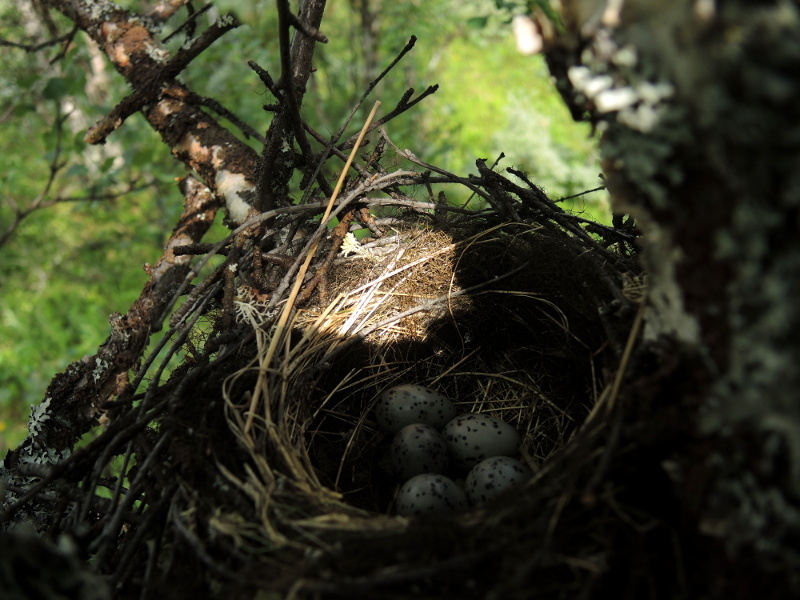 By 7 July they were incubating but we didn’t check the nest yet. The pictures below are from 14 July, when they had five eggs and were very secretive and silent. Two Siberian Jays at the same location were a nice bonus. Waxwing breeding… Photo by Tim. As you may remember, in late May we found the first wader nest of the season bellow the treeline. 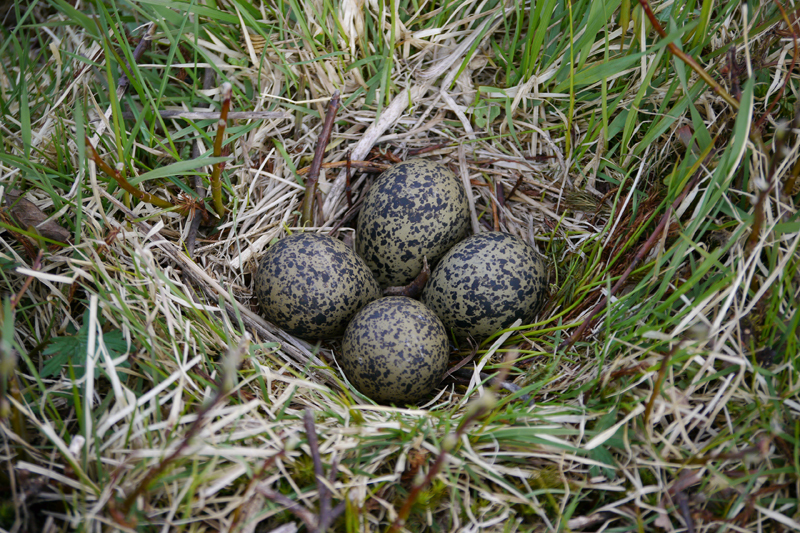 It was a Northern Lapwing (Vanellus vanellus) nest with four criptic eggs laid on the meadows around Ammarnäs delta. Now, after around three weeks of incubation, the chicks are finally hatched! In contrast with what it looks up on the tundra, the meadows around Ammarnäs are fully green and many colourful flowers start to grow. 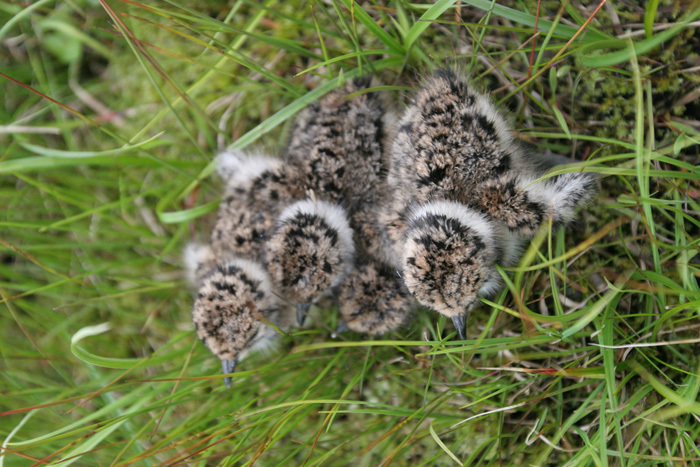 Behind the tall grass, the newly hatched Lapwing chicks hide still and silent to not get discovered by predators, while adults give them warmth and protection. They are precocial birds and with their well developed beaks, eyes and legs, just some hours after hatching they start to forage mainly on arthropods which they find on the ground of the rich meadows. 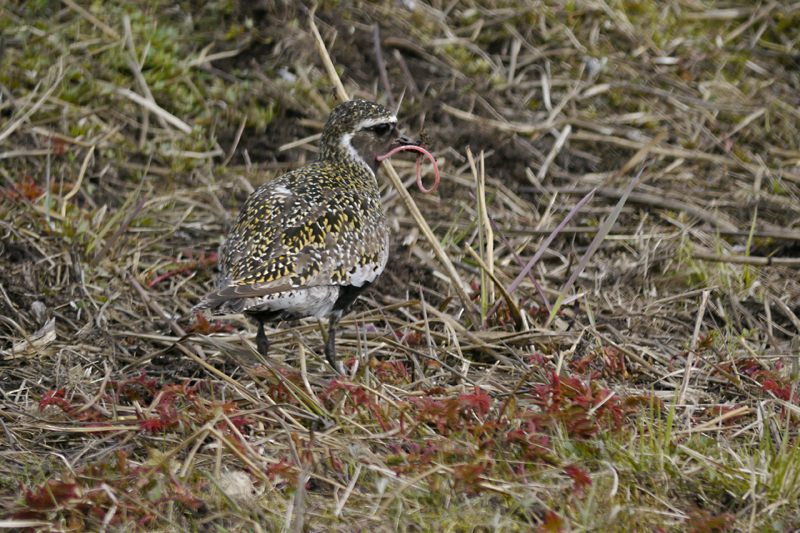 The meadows around Ammarnäs are not only being used for foraging but also some birds use it for nesting! 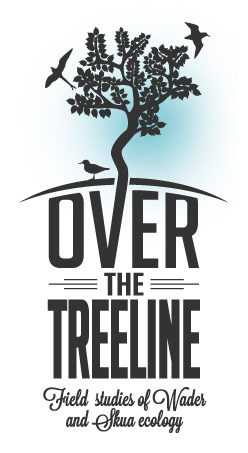 On the 28th of May a Lapwing nest was found with around one week of incubation, so breeding has started below the treeline! Although conditions in the mountains look still quite unaccesible for breeding birds, down in the valley there are some chances where new green grass is rapidly changing the colour of the ground giving us some hopes that the spring will eventually start! 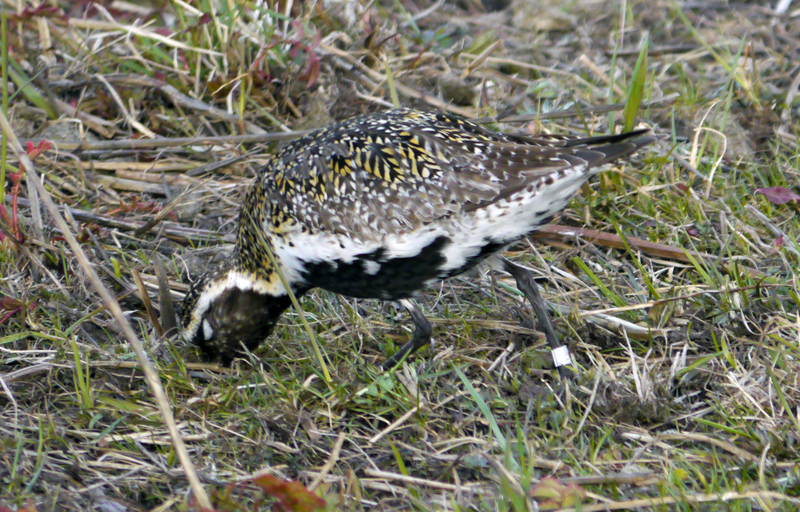 During these first days we have had the chance to see big numbers of Golden Plovers gathered foraging in the meadows around Ammarnäs, something very unusual in previous years. We counted yesterday 225 in a small meadow in Kraddsele. 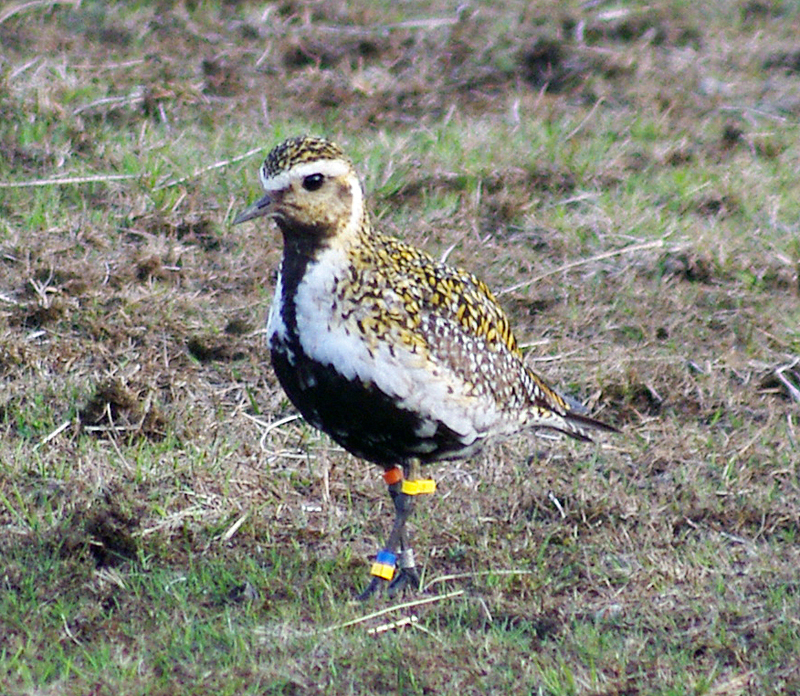 We have been looking for colour-ringed Golden Plovers also up in the mountains but most remain down in the meadows around the Delta. So far, we have observed 6 colour-ringed birds, just two up in the mountains close to their breeding territories but most observations have been down in the valley with two birds ringed in 2007 and 1 in 2010. 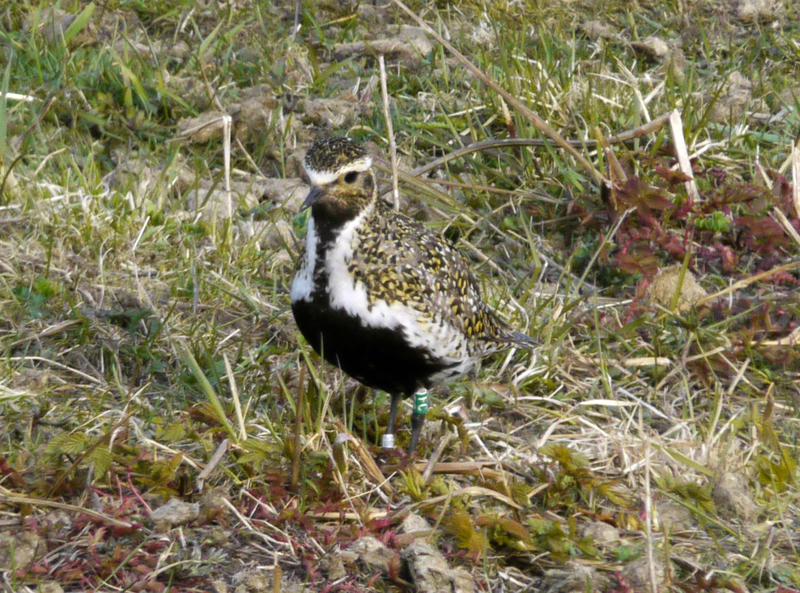 But so far the most interesting observation have been a bird ringed last year as a chick on the nest!. We have also observed some birds only with metal ring, most probably ringed in the Netherlands during migration and a colour-ringed Ruff also from a dutch project. Remember you can watch this video in HD on Vimeo! When arriving to Ammarnäs we were amazed by the big numbers of waders that were actively feeding on the meadows around the delta. In the previous years we have just seen few numbers of some species but not the numbers that are right now. Due to the great amount of snow on the mountains, the birds have to wait down in the valley for some snow-free patches to breed. 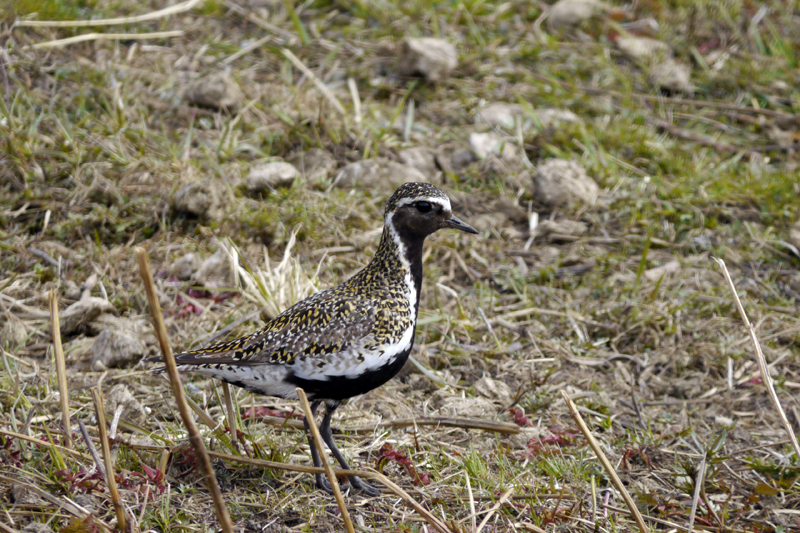 We have counted more than 400 Golden plovers, ~100 Red-necked phalaropes, ~50 Redshanks and Wood sanpipers, ~20 Dunlins, 3 Oystercatchers, 5 Bar tailed godwits, 3 Teminck´s stints, Greenshanks, Lapwings, Common sandpipers, Common snipes, Woodcocks and Ringed plovers. There are also Lesser white-fronted, Pink-footed, Greylag, and Bean Geese. About the ducks we could see a pair of Shoveler, some Wigeons, Mallards, Tufted ducks, Teals and Goldeneyes.